Known for robustness and solid foundation, eZ publish CMS has been showing a steady market growth, used by thousands of organisation every day to meet the ongoing demands of their projects. It is not only an intuitive and user-friendly platform, but also a dynamic digital management solution that provides a firm support to the digital structure of an organisation. The platform has an ability to work in-tune with even the most complicated communication and digital information exchanges across multiple systems and business processes. In this article, we are going to explore the benefits of using eZ publishing platform and give you reasons to select it for building and running an array of websites and applications. So, without further ado, let’s discuss about all of them in detail. eZ publish platform is not just a CMS, but it’s a content management framework that supports flexible and object-oriented model for managing content. It is designed to build and run complex websites and mobile channels to meet the business challenges effectively. Apart from the traditional content, it gives you the ability to deliver customised content to multiple audiences (customers, partners, and employees), provides multiple tools for tracking the users behavior. The eZ publish platform also provides an enterprise the ability to develop content-driven digital experiences, which ultimately helps you create a flawless digital optimised process. eZ publish has open-source in its DNA. This works as a foundational support for creating a culture where sharing is cultivated for attracting webmasters who love sharing code and to work in collaboration with other for the benefits of their resources and the users. It also features a commercial open-source model, which works like Red Hat, means it would be the primary responsibility of the vendor to maintain and develop code. Not only this, but also deriving profit from the support subscriptions, while leaving the works related to customisation to all those partners who share the same network. Since it’s an open-source, organisations can easily evaluate the platform and let their developers compare the code of different platforms and then assume their own determinants. This way, vendors would be accountable for whatever code they are providing, while developers can be informed that their work has been observed by their users. 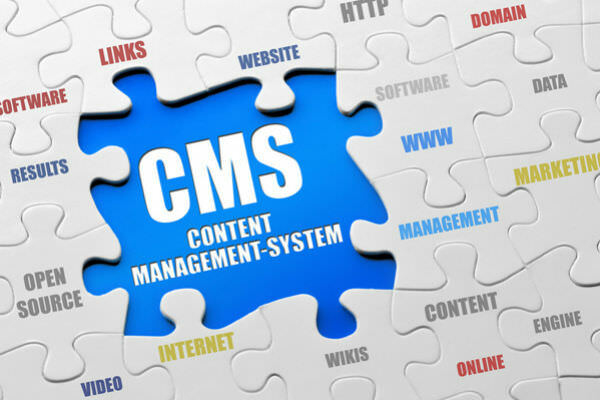 There are a variety of options available when it comes to selecting a CMS, but one thing that makes eZ distinct from others is the way it utilises the vendor’s support that are responsible for whatever code they execute, while also ensuring full control over the code. Since, a level of accountability is necessary for the enterprise applications, Ez is a perfect option for this kind of complex scenario. And apart from the cutting-edge customisation environment developer’s deal with eZ, they are absolutely free from the interfering upgrades. eZ publish takes the level of architecture to a new height in its latest version. Although, it also supports and rely on its old architecture, which we call ‘legacy system’. The ‘legacy system’ (a very nice PHP software) is still in the core of eZ 5, wherein users can enjoy various benefits in the most effective and economical way. You can do a lot of stuff with the system like meta content model, separation and presentation of content. It produces a very flexible content and makes it workable across a variety of platforms. API, REST and Data scalability can also be done using the system. Today, it has become a need to break the content into smaller pieces to easily manage, integrate and distribute it across multiple channels. The Ez publish CMS also enables users to extend the platform that meet the most demanding business needs, and thus make their websites and applications competitive. All you need is to perform few tweaks in the admin area, and you are ready for a straightforward upgrade process. Ez publish is a solid and flexible publishing platform that easily adapts to any information structure and multiple business needs. It’s an integrated, yet an efficient platform that’s ready to offer a successful digital experience. Jason Roiz works for OSSMedia, a CMS development company giving proficient WordPress, Magento, Drupal and Joomla improvement administrations.